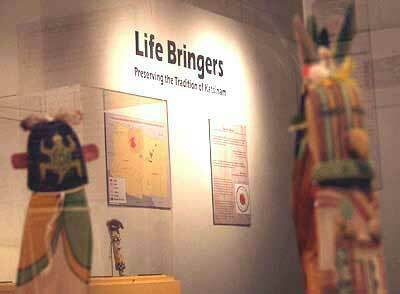 Part of a text panel from exhibit. Photograph taken in 1969. 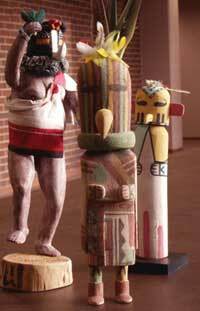 Philbert Honanie and exhibit curator Jonathan McMahon. 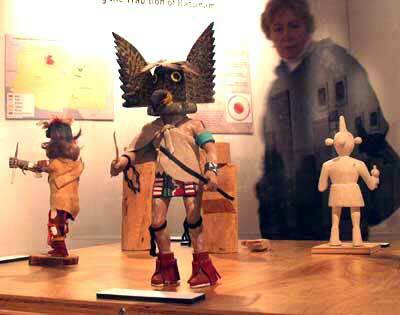 Philbert hosted Jonathan on the Hopi reservation New Years and demonstrated doll carving at the opening. 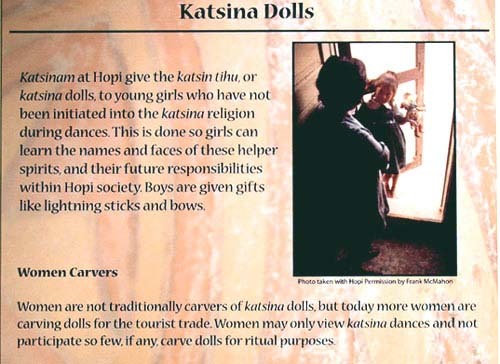 Happy Grandmother katsina doll given to all Hopis as infants is the only katsina doll given to boys.